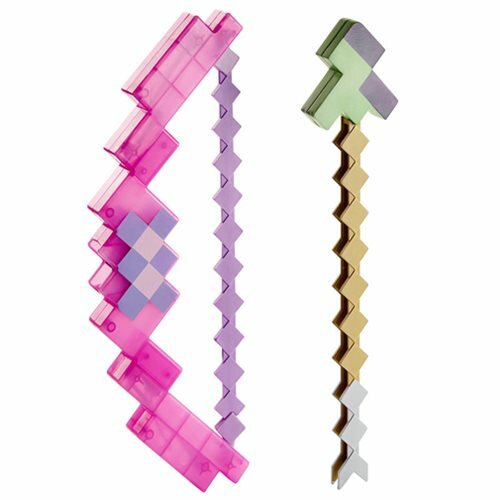 Target your role play with this Minecraft Enchanted Bow and Arrow Roleplay Weapon! Designed in Minecraft's iconic pixelated style, this true-to-game weapon features a translucent metallic finish. Arm your trusty bow using a pixelated string that can be pulled back, loaded, and actually fired! The clear molded bow showcases the coveted enchantment, so all can appreciate the weapon's power. Choose your weapon! Ages 6 and up.